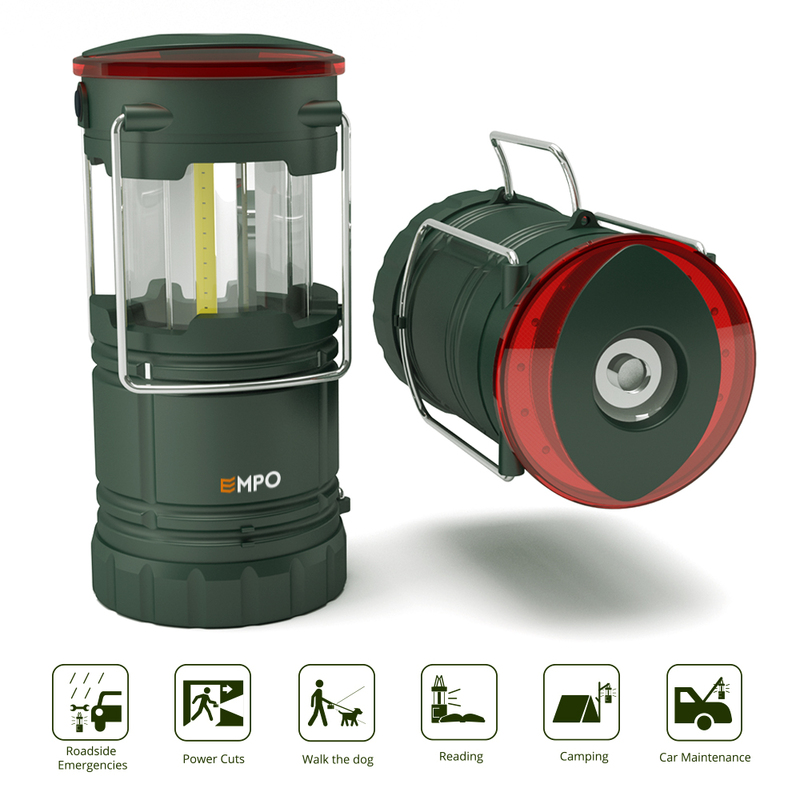 LED Camping Lantern Portable Hanging Flashlight - Magnetic Lantern, Torch and Beacon in One - EMPO Inc.
【ULTRA BRIGHT 3 FUNCTIONS】With 3 individual COB strip LEDs, this lantern is designed for a longer lifespan and carry 360° of luminous light while saving energy. 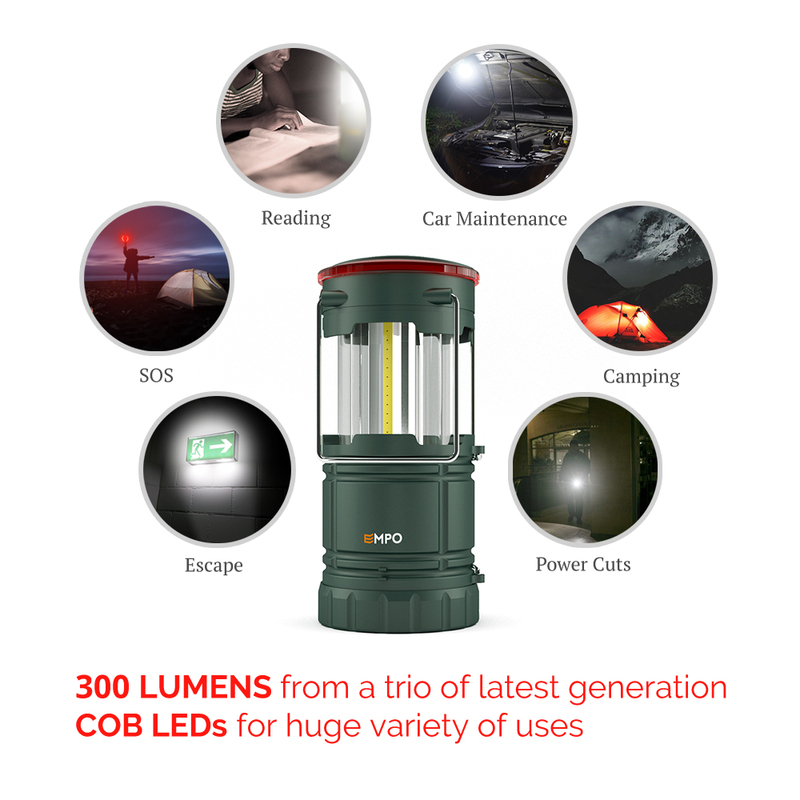 Ideal for outdoor trips, car maintenance, or power outage preparedness, it also serves as a FLASHLIGHT or an EMERGENCY BEACON. The Emergency Beacon allows you to switch between SOS signal and ordinary Red-light alert. 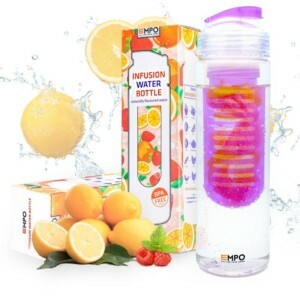 Keep it in your kitchen cupboard, trunk of the car, or add it to your emergency kit. 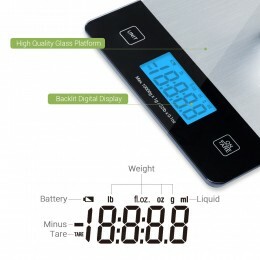 【COMPACT AND EASY TO USE】The portable light comes on as soon as you lift the top section, so no fumbling for a switch in the dark and it deactivates when the top is pushed down again. When collapsed, it fits neatly in a backpack, vehicle glove compartment and most kitchen drawers. 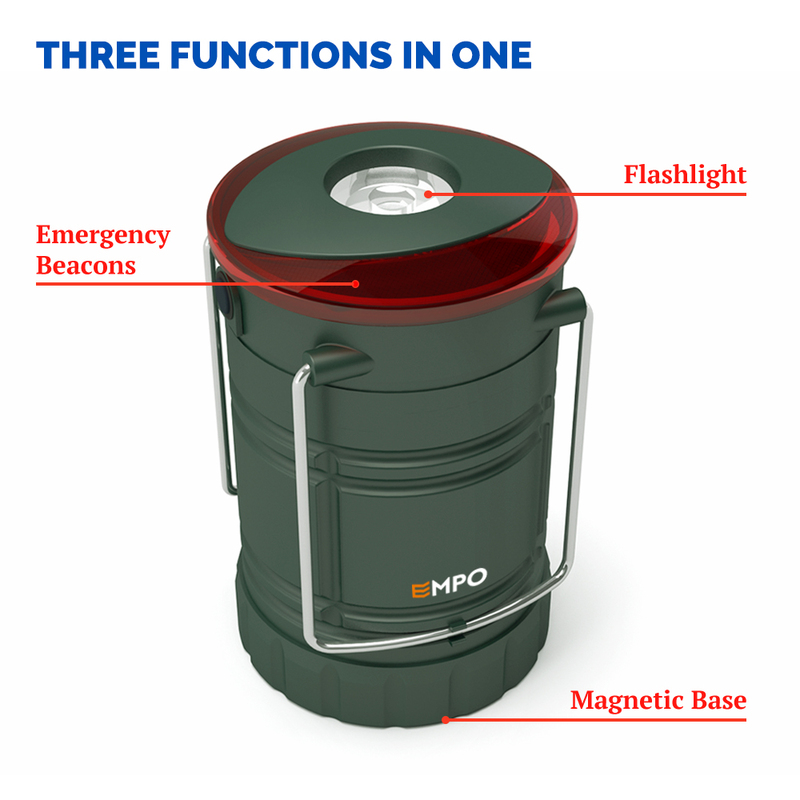 It uses 3 AA batteries as power supply and can provide continuous, ultra-bright light for a full 72 hours (The emergency beacon can last for 75 hours.) with enough battery capacity. 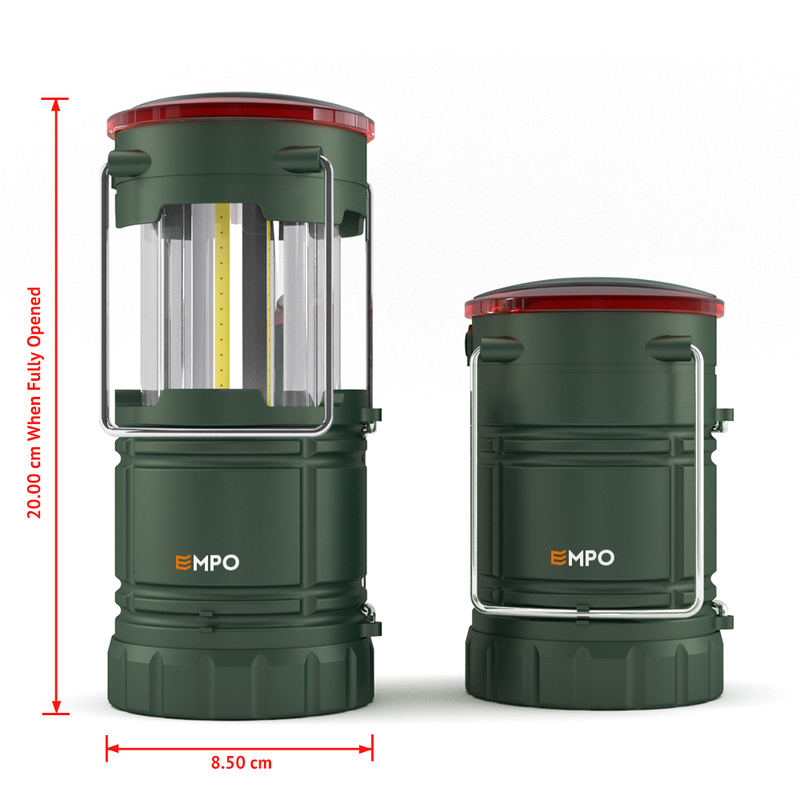 【TOUGH AND WEATHER-RESISTANT】This camping lantern is built to withstand outdoor leisure use in all weather – durable ABS body, no glass, shock resistant and water resistant to IPX4 standard. 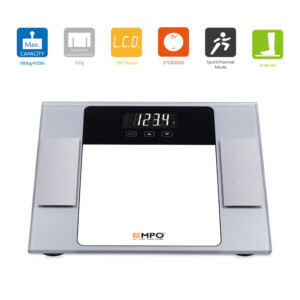 It is a multi-purpose essential whether as a work light, reading light, camping lantern or blackouts light. 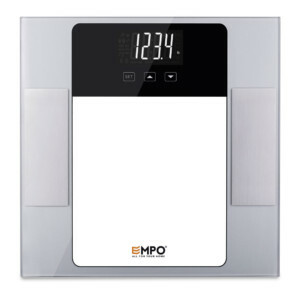 Perfect gift for men, women, family and friends, or for anyone looking for a high quality, great value product that is built to last. 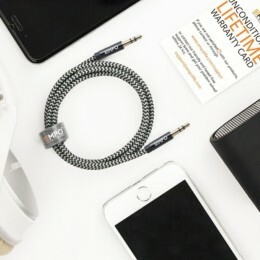 【MULTIPLE HANGING WAYS】Illuminate your surroundings wherever you go! 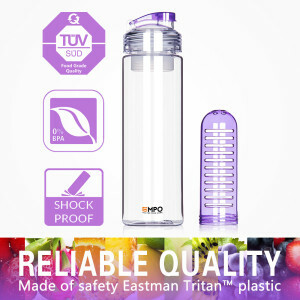 There are 2 FOLDAWAY HANDLES on the TOP, one FOLDAWAY HANDLE on the SIDE and an EXTRA HOOK at the base. 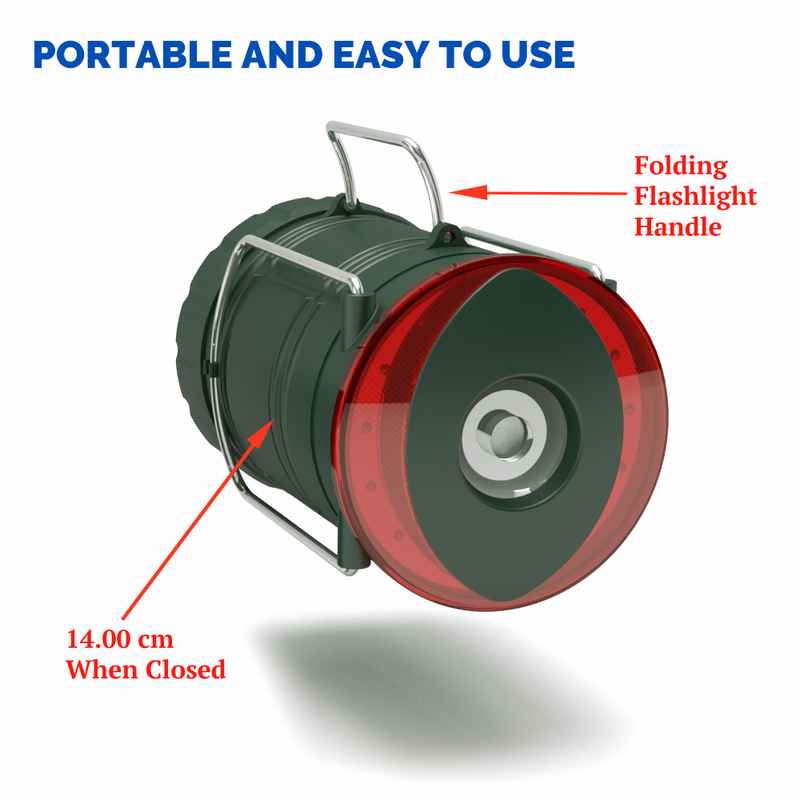 The handles allow you to suspend the lantern or carry with ease. With the hook at the base, you can hang the lantern upside down to get better light when lighting up a big area. 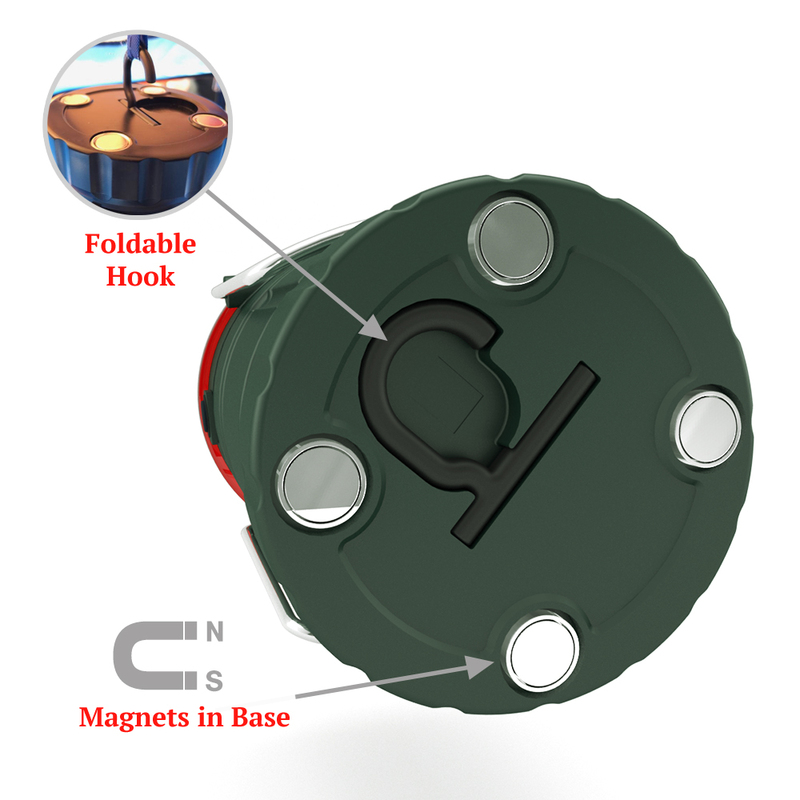 There are also 4 MAGNETS on the bottom of the lantern, which can be adsorbed on the metal surface, making car repairing more convenient. 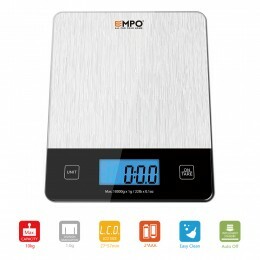 【100% SATISFACTION GUARANTEE】EMPO® Unconditional Lifetime Warranty. Your satisfaction is our priority. 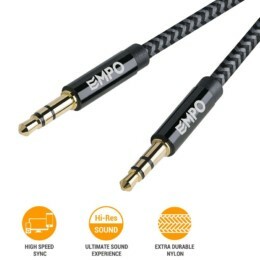 In the unlikely event that EMPO doesn’t meet all of your needs, we’ll send you a replacement or refund you the full price with No Questions Asked. Lifetime warranty card INCLUDED. That is why when you order yours today, you are protected by a LIFETIME WARRANTY, no questions asked Product Replacement GUARANTEE!